I had no plan of writing on my blog this evening, but while out in my studio earlier today I was reminded of Romans 4:17 and felt compelled to share a little hope. 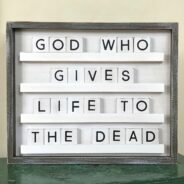 I arranged the words of that verse, “God who gives life to the dead”, on my letterboard last month as a harbinger of spring; but when I saw them this afternoon I thought of how appropriate they are on this day that sits between Good Friday and Easter….our Lord’s death and resurrection. Romans 4:17 is one of my favorite scripture verses and one that I often declare as I am working out, believing God to enable what is unable within my body…which He is. I have neurological and muscular damage that keeps me from walking independently, but the God who created my muscles and nervous system can recreate them. In the same way, God is able to breathe life and ability into your own circumstances that might look “hopeless” right now. The New Living Translation of Romans 4:17 goes on to say, “…and who creates new things out of nothing”. Let’s never forget, regardless of what we see or how we feel or what “man” has spoken over us, with Jesus we ALWAYS have hope. And if you’re a believer in Christ, Romans 8:11 tells us “the Spirit of him who raised Jesus from the dead is living in you, he who raised Christ from the dead will also give life to your mortal bodies because of his Spirit who lives in you.” This Easter let’s believe for some personal resurrections as we celebrate Jesus’ because as Jeremy Camp sings, “the same Spirit that raised Jesus from the dead lives in us”! …just remember, Jesus was resurrected because He first surrendered to His Father and His ways. 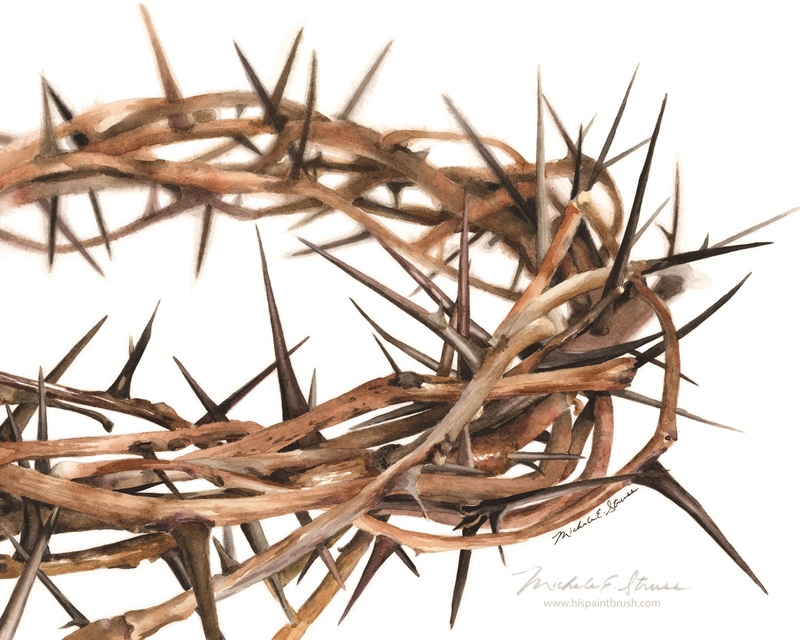 A crown of thorns is a reminder of what Jesus endured, overcame and won for everyone who believes (Romans 10:9). He suffered the punishment that we deserved. 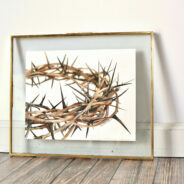 The crown of thorns He bore should have been on your head and mine. “Should Have Been Mine” is one of the watercolors I painted during my yearlong creative challenge and is just now released in print for your own collection as a raw reminder of the price of our redemption. And just in time for Easter! This entire series of prints mimics the original watercolors themselves in their look and feel. 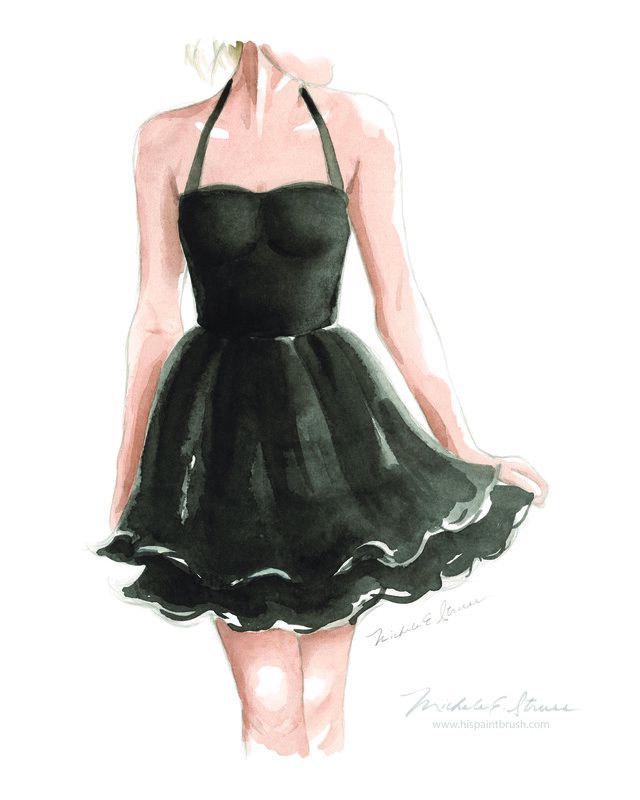 Next in the lineup of my new series of prints is “Little Black Dress” and “Black Tie”. I know I said I’d be introducing them one at a time as the year plays out, but hey, “two are better than one” (Ecc. 4:9)! 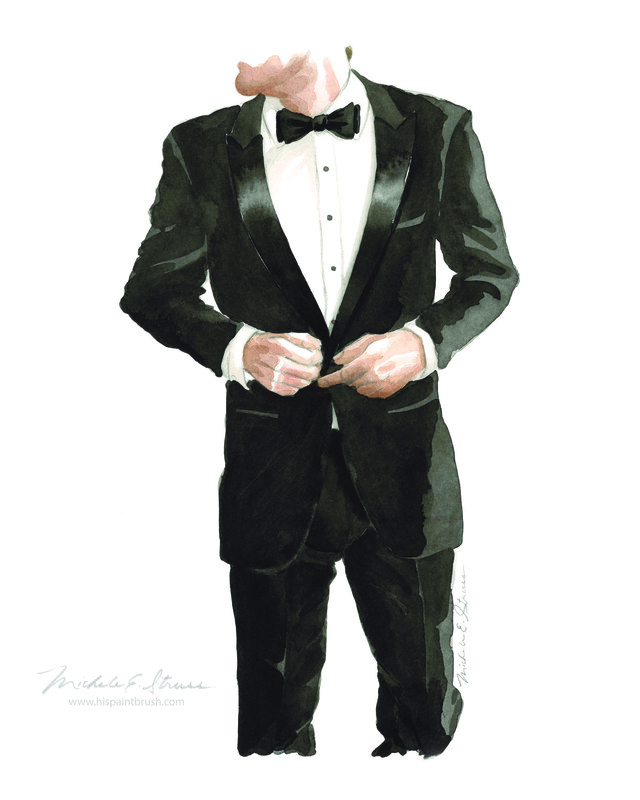 What’s more fun than dressing up and celebrating some aspect of life with those you love?! The Bible says, “There is a time for everything, and a season for every activity under the heavens: …a time to weep and a time to laugh a time to mourn and a time to dance…” (Ecc. 3:1, 4). Life is unquestionably hard and painful, but in the middle of it all God gives us gifts of celebration. This duo would make a great addition to a bedroom, powder room, dream closet or even her home office! Find them here. I am so excited to share with you that I have a new series of prints! It’s been a longtime coming, but they are here and I couldn’t be more pleased. 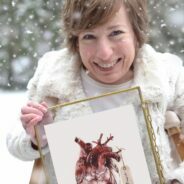 This collection includes 15 of the 50 pieces of art that I created during my yearlong creative challenge. I will be introducing them one at a time as the year unfolds, but I am starting with my favorite one of them all…“Spoken For”. There are countless things in this world fighting hard for our affections. If we don’t guard our hearts, we are in danger of losing what is most precious to us: Our faith, marriage, family, God’s promises, peace, and the list goes on. It’s rarely easy, but we must be vigilant over our source of life. With this print series, I didn’t want to just reproduce the images, but the feelings and emotions of holding the originals themselves. They are all printed on acid-free paper that mimics the watercolor paper they were painted on with the same margins as the originals. Now you can add “Spoken For” to your own collection! 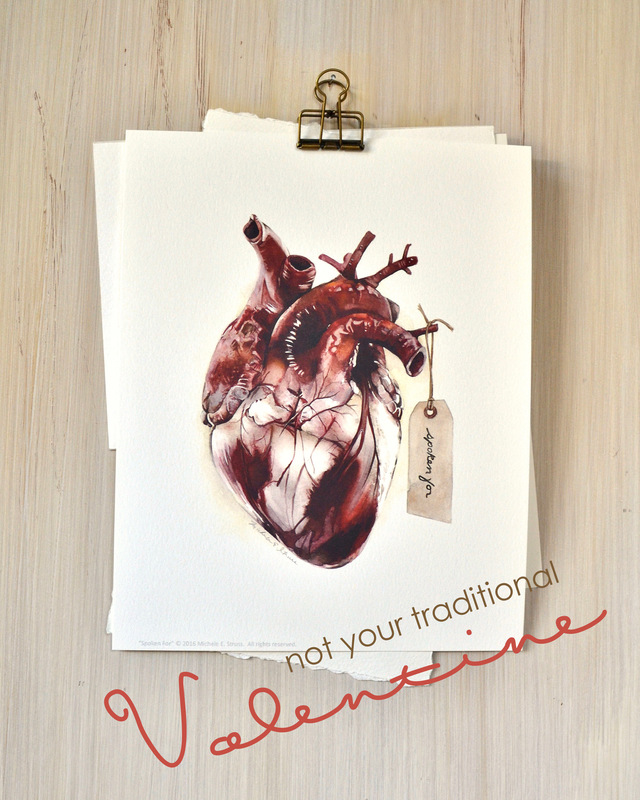 Or it’d make the perfect Valentine’s Day gift!! Find it here. Remember me? I haven’t forgotten you; in fact, I’ve missed you. I am sorry for my silence, but to be honest, I’ve needed to be quiet. This year has been an emotional rollercoaster for me with losing ones dear to my heart, big opportunities and projects, several health battles and surgeries for both of my parents, getting a new car that delights my heart every time I see her :), walking with friends through extremely hard seasons in their lives and celebrations and travel. This has been my year, but I’m certain it resembles yours too. We are all busy and overwhelmed, and even if our list isn’t as long & hard as someone else’s, ours is no less challenging for us. Throughout this year’s rollercoaster ride I’ve carried the extra weight of two situations that played out as 2017 came to a close and 2018 began. In one case, I wronged someone and in another, I was wronged. One brought shame and the other anger. Those are powerful emotions that I don’t often battle, so I was definitely rattled. Details are unimportant, but earlier this year someone that I should have been able to trust entered my safe place and took what wasn’t theirs, turning the space where I gain my greatest strength into a place of violation and unrest. Where was their integrity and respect??? They caused me more angst than they will ever know. Healing has been a process and especially difficult because there was no closure. They never admitted to their wrong, so no apology was made and nothing was ever returned. But in the face of constant reminders that kept reigniting bitterness and anger God challenged me to have “a love that looks beyond” (like Jesus). Admittedly, nothing about that was easy when I felt so violated. Thankfully, as the months have passed, God has brought so much healing where this wound is concerned, but I still find myself whispering “soften my heart” and “remove the sting”. In both situations, it has been a battle for me: A battle to forgive the one who wronged me…and myself. A battle to show God’s grace and forgiveness…and to receive it. But the enemy does not get the final say in these or any other area of my life…he never has. Anger and shame don’t win here. I cannot let my offender or my offense own me because I’ve already been bought. Besides, my enemy isn’t even the one who took things from me on a winter day, but the one who seeks to steal from me EVERY day (Ephesians 6:12). I really struggled with how God uses this person the way that He does for His kingdom, yet at the same time they were capable of stealing from me. But couldn’t the one that I wronged say the same of me?? I am understanding more and more of how God uses imperfect people…and I am thankful He does, otherwise He wouldn’t be using me. As Holley Gerth eloquently puts it, “No level of spirituality or ministry exists where we are suddenly exempt from being human.” The Bible proves it. While there are consequences for sin, we cannot let the enemy deceive us into thinking that we – or others – are disqualified or a fraud when failure happens. If you have been wronged by one of Christ’s followers, please don’t judge God, His church or a ministry based on the person’s actions. If you are looking for perfection, look to Jesus alone because the rest of us are apt to let you down somewhere along the way. Let’s keep our eyes on the work of God, not on the flesh and blood He chooses to work through. To the one who I hurt, I hope you have forgiven me. To the one who hurt me, I forgive you. This song by Big Daddy Weave says it all. To my fellow “80’s child”, no, this is not about Journey’s song, “Don’t Stop Believing”. Shocking, I know. 🙂 A few weeks ago I read a blog post that resonated within my spirit. Since God has been adding to that word, I thought I’d send a little “life” and encouragement your way on this bitter and blistery winter evening. In the post, Kerry Campbell used tulip and amaryllis bulbs as an analogy of life coming forth where there is no visible life. I just took this photo yesterday of one of my mom’s hydrangea bushes out in her garden. It is hard to believe that in just a couple months new buds will be shooting out from those dead sticks. 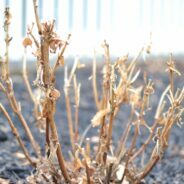 That bush has weathered snowstorms, zero degree temps and deer chewing on it, yet life will still spring forth because of life and activity taking place within the roots…even in these winter months. Ten years ago God made 2 bold promises to me. There are days when I am resolved in my faith and full of peace and anticipation; then there are days when I am discouraged and restless. Guess which days my focus is on my unchanging circumstances and which days my eyes are on my Promise Maker? The “winter seasons” of our lives can be difficult. They can be long and bleak if we focus on the lack of change. Our conclusions and outlooks are then formed by what we see…or don’t see. Like this hydrangea, our hopes, dreams and even God’s promises to us can look “dead”. But as in the rhizome roots, bulbs and tubers of perennials, there IS activity taking place beyond what our eyes see as God works things toward fulfillment in our lives. Satan is a thief and a liar. Never forget it. He wants to sabotage every hope of yours and mine and every promise of God. One way he tries to do that is by drawing our attention to the lack of life in those areas we have been praying over. He forgets though that as believers in Christ we belong to the “God, who gives life to the dead and calls into being that which does not exist” (Romans 4:17 NASB). Never forget that either. About 25 years passed between the time God first revealed to Abraham that he’d be the father of many nations and when Sarah gave birth to Isaac (the beginning of God’s fulfillment). Just because God doesn’t fulfill His promises within our timetable does NOT mean that He isn’t going to fulfill them! Our rationalization is not God’s. He didn’t need Sarah to be in her childbearing years for her to bear a child! So the next time we are tempted to doubt or be discouraged, let’s “…imitate those who through faith and patience inherit what has been promised” (Hebrews 6:12). Let’s actively refuse to doubt that in the fullness of time we will see new shoots of life bursting from those dead sticks in our lives! *On a different note, for those interested and on Instagram, I am reposting my yearlong Creative Challenge each week. I’d love to have you join me over there @hispaintbrush_michele! Okay, so New Year’s is hands down one of my favorite times of the year. There is something about a fresh start that breathes life into my innermost being. I am motivated, passionate, focused and full of anticipation. I always wonder what words will adorn the blank pages of my journals in the coming 12 months. 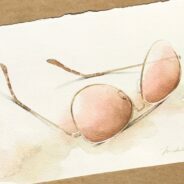 My painting above of a pair of rose-colored glasses is entitled “Eternal Optimist”. Typically, that is me. As believers in Christ I think we should all be eternal optimists since we always have hope. For me, I hope the year ahead will find me finally walking in the fullness of God’s promises to me. Here’s the thing though… Even if my worst nightmare befalls me in 2018 I will STILL have hope. Jesus is my hope, and no matter what my tomorrows hold for me I know that Jesus will be by my side with grace for the moment and hope for a better tomorrow. If you walk with Jesus, regardless of what your circumstances may be, never forget that you forever carry Hope within you too. He is the God of the impossible, the God of ‘suddenlies’ and the God Who “is able to do immeasurably more than all we ask or imagine” (Ephesians 3:20). There are things about 2017 I desperately wish I could forget and undo, and there are things I’d like to hang in a gallery with a spotlight on them. I am certain that 2018 will hold the same, but through it all, I just want to know Jesus even more. Here’s to a year of stronger relationships with the Hope of our world! Hello all! I can hardly believe that Thanksgiving is next week. How is that??? I know I’ve been quiet for most of the fall, but right at the time of my last post God began calling me to set-apart time in my studio. With that, I made a commitment to myself to work on my art every day in October…which I did! But I intentionally remained quiet about it because I knew that I needed freedom to fail this time – something that I didn’t feel I had in front of the public eye last year. For those of you who walked beside me throughout last year’s creative challenge know that in the end I felt disappointed that my work did not reflect the loose brushwork that I had hoped to achieve. As a result, when the year/challenge ended, I felt like I had failed in many ways; but as Beth Moore said in Beloved Disciple, “God does not consider my circumstance over until there is victory.” Hallelujah for that! Though my yearlong challenge ended, my journey to freedom from perfectionism hasn’t. So every evening last month I closed myself in my studio and painted. Many days I failed, but I failed well. I honestly found it liberating to fall short and know that it was “okay”. Coming to that place alone was a victory for me! I learned more in those 31 days than I learned all last year BECAUSE I failed and learned from each mistake. From the very first day in the studio, my month-long commitment began to look different than I envisioned. I was constantly having to surrender my plans, timelines and expectations. I daily had to transform my thinking because I knew that October’s studio time was to be focused on growth, not performance. I am reminded of when the disciples (before they were disciples) fished all night and caught nothing; yet when in obedience they let down their nets ‘when’ and ‘how’ Jesus commanded (even though it was contrary to their reasoning), their nets were so full of fish that they were breaking (Luke 5:4-6). The disciples might have considered their long night of catching no fish a big failure, but their story was not over. And if they HAD caught fish the night before, they would not have experienced Jesus’s power and authority the way they had. For me, that is huge. We live in a culture where we tend to showcase our highlight reels for the world to see, but I want more than highlights; more than just masterpieces. I want depth, I want muscle and I want to know God better through my journey…and those come from grit, sweat, tears, risks, failures and surrender. I have lived with a performance mentality for so long that I have not allowed myself that ability to step back and grow my gift behind closed doors…until last month. The painting above was the first piece I did in October. It is entitled, “Whose I Am: A Self-Portrait” and was inspired by Isaiah 44:5… “Some will say, ‘I belong to the Lord’; others will call themselves by the name of Jacob; still others will write on their hand, ‘The Lord’s,’ and will take the name Israel.” The conviction is so deep within me…“I am the Lords”. That is who I am. And if you follow Jesus, that is who you are too. We are not our failures, weaknesses or sins. Jesus died to guarantee that. We will all fail along the way, but never forget, “winners fail until they succeed”. Your story is so far from over…and so is mine. Big sigh. I am watching the news as Florida braces for record making Irma. My heart is so heavy as I have family and friends right in the path of the eye of the storm. Some have evacuated, some cannot. I can’t fathom the residents’ emotions as they grapple with what might lie ahead. Times like these it is just so hard to know the mind of God; but we were not fashioned to understand the ways of the God who created and sustains the universe. Of course, that doesn’t stop our human reasoning from trying. The threat of this impending storm along with the utter devastation of Harvey certainly has a way of dwarfing the concerns of those of us who don’t live along the two hurricanes’ paths, and I am well aware of that. Still, I’d like to share a snippet of my week with you in hopes of strengthening you in your story. My parents flew out to Colorado this week because my nephew is going to be baptized tomorrow. Unfortunately, I was not able to go due to the high altitude there. Let me explain… Due to my form of dwarfism, before I was 3 years old the vertebrae in my neck slipped and compressed my spinal cord. While I had a cervical fusion to prevent future slipping and relieve the compression, the damage was already done to my spinal cord. The part of it that is damaged has to do with involuntary breathing, so low oxygen situations can be life threatening for me. Well, my sister and her family live in a suburb of Denver, and the Mile High City has less oxygen to breathe due to the high altitude, so I am unable to visit there. As a result, I have missed 3 of 4 of my nieces’ and nephew’s births and many milestones along the way…and it is HARD. Every time. I don’t have kids of my own, so those 3 nieces and 1 nephew take up an awful lot of space in this heart, not to mention how I’d love to be able to visit my sister and brother-in-law. Last week my friend asked me how I handle not being able to visit them. Laughing, I told her, “I ignore it”. But to a degree, that’s the truth; I don’t think about it very much. I can’t. It’s too painful. I allow myself a few moments at the window as I wave good bye to my parents when they leave for the airport in the early morning hours, but that’s it. It is not a situation that I can change by dwelling on, though dwelling on it could change me. I learned long ago that I am the one who determines how much ‘life’ my disability and limitations are going to rob from me. To that point they say, “Life is 20% what happens to us and 80% how we respond”. Such truth!!! The morning my parents left I found myself singing the old hymn “‘Tis So Sweet To Trust in Jesus”. The refrain is “Jesus, Jesus, how I trust Him! How I’ve proved Him o’er and o’er; Jesus, Jesus, precious Jesus! Oh, for grace to trust Him more!” Here’s the thing, I do not understand why of all the places in the country for my sister and her family to live, God would allow it to be one of the few places that I cannot visit. I am not sure that I will ever understand and I am certain that I will never like it – but I don’t have to. I trust God. He has never given me a reason not to. And this I’ve learned… When we get to the place where we truly trust God REGARDLESS of our circumstances, we become immune from those things which the enemy once used to taunt us with. I’m talking about the kind of trust that says, “Even if my worst nightmare happens, I know that You will see me through because You have said, ‘Never will I leave you; never will I forsake you (Hebrews 13:5).’” That kind of confidence in His sovereignty and love is all we need to move forward. Wednesday night worship singer/song writer Rita Springer came to our church. She spoke into my life in the few minutes we had together before the service began. One of the key words in all she said was “advance”, saying how the enemy fights us from moving forward. While she was speaking into a completely different area of my life, each of us have something in our lives right now that can be a stepping stone, or a stumbling block – depending on how we respond. 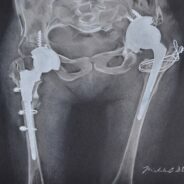 Unfortunately, short of God healing my spinal cord or my family moving, my situation is not going to change. My heart will continually be where I cannot go and I will continually be faced with how I will respond. This reminds me, “The quality of your life is determined by the quality of your decisions.” We can kick and scream and sulk, but we would benefit so much more by choosing to draw near to God in the eye of our storms and allow Him to move us forward anyway. *Dear Jesus, I come bringing the state of Florida before You right now. God, I know that our nation has been turning its back on You, pushing You out of our schools and government, yet we are so quick to call on You in our times of crisis. We do not deserve Your hand of protection, but I am asking for mercy. In Mark 4:39 You “got up, rebuked the wind and said to the waves, ‘Quiet! Be still!’ Then the wind died down and it was completely calm.” I am asking You to do that again, Lord. Stretch out Your hand and say, “No further”. We are at Your mercy Lord and I plead Your protection over life above all. As the storm rages, I pray that Your peace, that passes human understanding, would rule and reign in the hearts and minds of those in harm’s way. And for those who lost everything in Hurricane Harvey, I ask You to be their strength, healer and provider. May Your mercies be new for them every morning. And may we as a nation turn our hearts back to You, Lord. In Jesus’ Name I pray. Amen. Hi All! I hope summer has been treating each of you well!! It’s been so long since I’ve reached out, so I thought I’d share with you my latest ponderings. I’ve told you before about the wild turkeys that grace our yard every day, but I haven’t told you about one in particular that we named “Fiona”. Ever since she started coming around last winter, Fiona appears to have a broken leg. She walks on her ‘elbow’, so walking is extremely challenging for her. The other turkeys accept her, but of course, go off without her all the time. She’s been hanging around more and more by us, yet no matter how many times I see her struggling, my heart breaks every time. 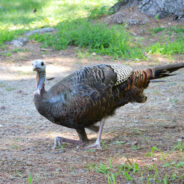 I know, she’s a turkey; but I also know all too well what it is like for walking to be so difficult and to not be able to keep up with others. One day I was watching Fiona walking around, struggling the whole time when all of a sudden she flapped her wings and flew onto the roof of my studio! I was so taken back. I guess I never thought about the fact that just because her leg was broken didn’t mean her wings were too! 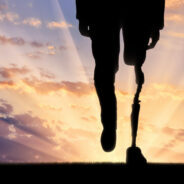 It reminds me that what sets us apart does not have to hold us back and label us as “unable”. I once heard it said, “Just because a blind person cannot drive doesn’t mean that they cannot reach the same destination.” So it is with you and me. Every one of us has “something” that we can hide behind and use as an excuse as to why we “can’t” do something; but is that the truth? Priscilla Shirer said, “What a shame it would be for the enemy to believe more about our potential than we do.” Ouch. Satan knows that the only way he can steal our potential is to convince us that we don’t have any. He wants us to retreat and forfeit our abilities, so he lies us into insecurity, lulls us into complacency and taunts us into fear. In the Old Testament we read about Moses sending out 12 spies to explore the Promised Land. In Numbers 13:18 Moses told the spies, “See what the land is like and whether the people who live there are strong or weak, few or many.” After exploring the land for 40 days, most of them came back saying, “…the people who live there are powerful, and the cities are fortified and very large. … We can’t attack those people; they are stronger than we are. …All the people we saw there are of great size. … We seemed like grasshoppers in our own eyes, and we looked the same to them.” (Numbers 13:28, 31-33) However, in verse 30 Caleb said, “We should go up and take possession of the land, for we can certainly do it.” No doubt, the majority of the spies had their eyes on the giants in the land while Caleb had his eyes on their potential, with God in the equation. With that I ask you and myself, whose report are we believing today? The one that says we “can’t” or the One that says we can “fly”?